Hello! We are the students of informatics. Our group is composed by six students, whose names are André Ferreira, Bruno Ferreira, David Osório , Marvin Barros, Telma Osório and Victor Duro. Under the UFCD - "Make a presentation on international institutions" our class has developed this blog in which will be provided information about several international institutions. Some videos related to this theme will be published , as well as informative texts and images documenting the involvement of these organizations. The International Union for Conservation of Nature and Natural Resources (IUCN) is an international organization dedicated to finding "pragmatic solutions to our most pressing environment and development challenges. "The organization publishes the IUCN Red List, compiling information from a network of conservation organizations to rate which species are most endangered. The IUCN supports scientific research, manages field projects all over the world and brings governments, non-government organizations, United Nations agencies, companies and local communities together to develop and implement policy, laws and best practice. IUCN is the world’s oldest and largest global environmental network - a democratic membership union with more than 1,000 government and NGO member organizations, and almost 11,000 volunteer scientists in more than 160 countries. IUCN's stated vision is "a just world that values and conserves nature." Its mission is to "influence, encourage and assist societies throughout the world to conserve the integrity and biodiversity of nature and to ensure that any use of natural resources is equitable and ecologically sustainable." UNICEF, initially known as the International Fund for Emergency United Nations for Children, was established in December 1946 to help children victims of Europe's World War II. At the beginning of the 50s, its mandate was extended to meet the needs children and mothers in developing countries. In 1953, it is a permanent agency of the United Nations and shall take care especially children in the poorest countries in Africa, Asia, Latin America and the Middle East. He then designated the United Nations Children's Fund, but retains the acronym that became known throughout the world - UNICEF. UNICEF is a UN agency which aims to promote the protection of children's rights, help meet their basic needs and contribute to their full development. UNICEF is governed by the Convention on the Rights of the Child and strives to have those rights being converted into permanent ethical principles and international codes of conduct for children. 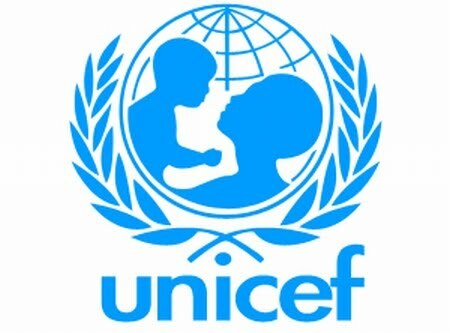 UNICEF is the only global organization that is dedicated specifically to children. Generally speaking, works with national governments and local organizations in programs of long-term development in the health, education, nutrition, water and sanitation and also in emergency situations to protect child victims of war and other disasters. It currently works in 158 countries around the world. Wars, undeclared conflicts, earthquakes, drought, in many parts of the world, emergencies and natural man-made disasters continue to affect the most vulnerable populations - especially children. UNICEF acts in emergency situations of immediate help, food, medicine, specialized personnel, in doing so, also seeks to ensure the continuity of programs for children in the long term - for example in education, with schools and emergency interventions reconstruction and recovery. Doctors Without Borders/Médecins Sans Frontières (MSF) are an international medical humanitarian organization created by doctors and journalists in France in 1971. Doctors Without Borders provide independent and impartial assistance in more than 60 countries to the most needy who suffered attacks and epidemics. The first country in which MSF acted was Nicaragua in 1972, but they help people in other countries such as Pakistan, Brazil, Sudan and Zimbabwe. MSF work independently of political, military or religious agendas. They have an independent fund that allows them to withstand the crisis. There are currently 193 member states, including every internationally recognised sovereign state in the world but Vatican City. From its offices around the world, the UN and its specialized agencies decide on substantive and administrative issues in regular meetings held throughout the year. The UN, after approval by the Security Council, sends peacekeepers to regions where armed conflict has recently ceased or paused to enforce the terms of peace agreements and to discourage combatants from resuming hostilities. Since the UN does not maintain its own military, peacekeeping forces are voluntarily provided by member states of the UN. The forces, also called the "Blue Helmets", who enforce UN accords, are awarded United Nations Medals, which are considered international decorations instead of military decorations. The United Nations system is based on five principal organs (formerly six – the Trusteeship Council suspended operations in 1994, upon the independence of Palau, the last remaining UN trustee territory); the General Assembly, the Security Council, the Economic and Social Council (ECOSOC), the Secretariat, and the International Court of Justice. The IMF oversees the international monetary system and monitors the financial and economic policies of its members. It keeps track of economic developments on a national, regional, and global basis, consulting regularly with member countries and providing them with macroeconomic and financial policy advice. To assist mainly low- and middle-income countries in effectively managing their economies, the IMF provides practical guidance and training on how to upgrade institutions, and design appropriate macroeconomic, financial, and structural policies.The IMF provides loans to countries that have trouble meeting their international payments and cannot otherwise find sufficient financing on affordable terms. This financial assistance is designed to help countries restore macroeconomic stability by rebuilding their international reserves, stabilizing their currencies, and paying for imports—all necessary conditions for relaunching growth. The IMF also provides concessional loans to low-income countries to help them develop their economies and reduce poverty.